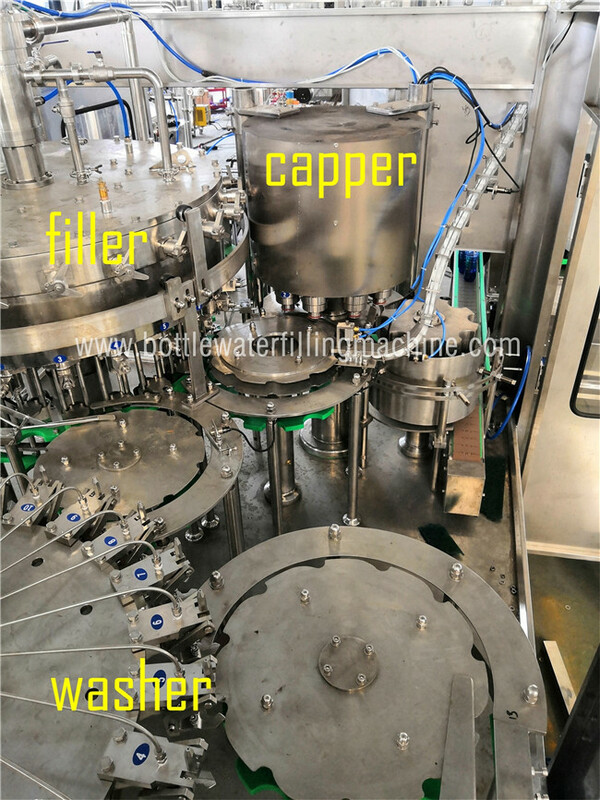 1.This kind of complete set of carbonated beverage filling machine combines washing,filling and rotary capping functions in one unit,is a fully automatic and high efficiency liquid packing equipment. 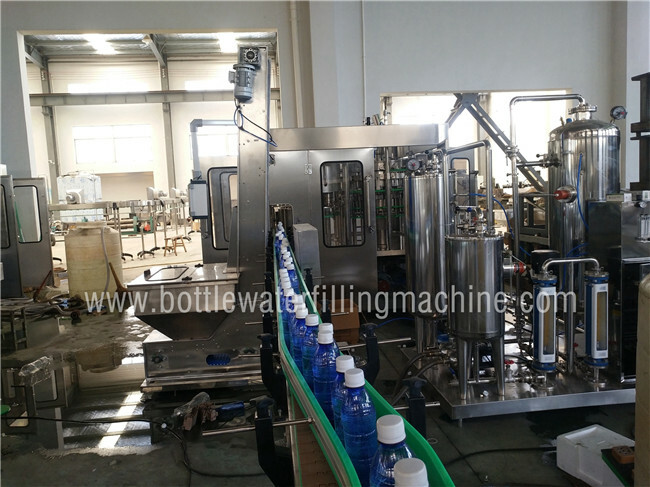 2.It is suitable for packing carbonated beverage ,beverage containing gas. Its performance is as following all parts,for instance, filling valve, which directly contact medium are made of stainless steel or harmless material. So it conforms to the requirements of Food sanitation. Sealing parts are made of heat-proofing rubber from JST company, in order to meet the technique requirements of users to sterilization at high temperature. 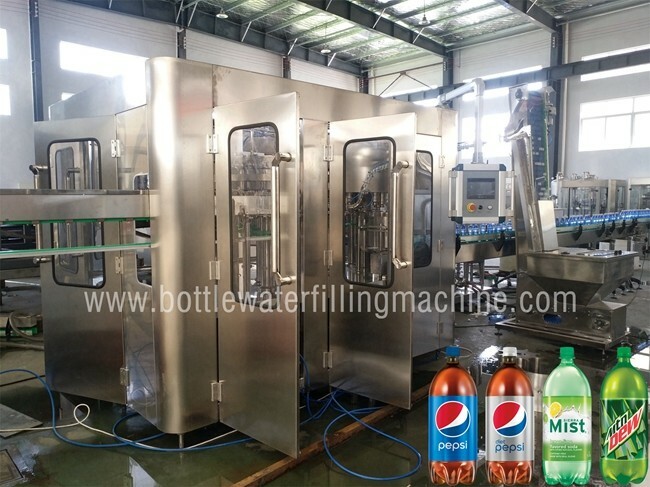 3.Carbonated beverage filling machine ,using programmable controller to realize fully automatic control from bottles entering to finishing packing, Using transducer as speed regulator from JST company, so the user can regulate the machine easily to suit different power requirements, Adopting equal pressure filling principle and current spring valves in order to assure beverage quality, Using advanced magnetic coupler to regulate cap-screwing torque, in order to assure capping quality.